Why are some people so cruel and wicked to their fellow humans? The guys who did this are just heartless, to say the least. 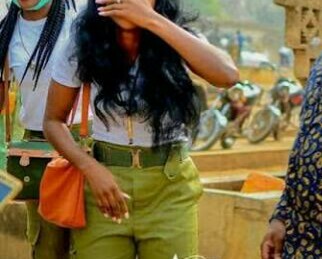 As you read this, doctors are battling to save the life of a female member of the National Youth Service Corps (NYSC) doing her one-year mandatory service. She's serving in Yenagoa, Bayelsa State. The corps member was reportedly assaulted and r*ped by a 15-man gang of robbers. The robbers invaded the ‘Corpers Lodge’ at Yenizue Gene, a suburb of Yenagoa, about 3a.m. yesterday. It was learnt that the armed robbers overpowered the neighbourhood vigilantes who are usually armed with only sticks and machetes. Emboldened, the hoodlums reportedly went to the NYSC Corpers Lodge where they forcibly took away a female corps member. According to a resident of the community, who spoke on the condition of anonymity, the lady was repeatedly r*ped by the hoodlums who took her in turns. She was later taken to the hospital for treatment. Sources say though the police were alerted, there was little they could do because the area had been thrown into darkness due to power outage. A vigilante, who gave his name simply as Tonye, said the security men were afraid of running into an ambush. For now indigenes of Yenizue Gene, who have been complacent over the issue of security, are contemplating forming a vigilance group to tackle crime in their community. When contacted, the state Police Public Relations Officer (PPRO), DSP Asinim Butswat told New Telegraph that he had not got a clear information about the incident.